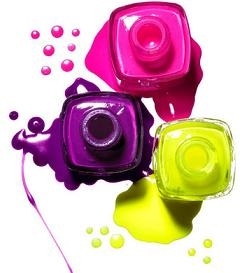 Find the perfect bright nail polish. I know it sounds silly, but trust me on this one. Find a shade that is bright to the point that it is almost neon. I normally stick with a bright pink shade for any time the sun is out. Another color I have found that works well is white. At first, I felt like I was putting white out on my nails; when I realized how tan it made my skin look, I fell in love. Don’t be afraid to try out different colors and see what you like best. The right neon shade of polish will trick your friends into thinking you are perfectly bronzed. Now, let me introduce you to a little friend of mine named bronzer. If you haven’t met her yet, I suggest you two get better acquainted. Using any larger makeup brush you have, swirl it around in your new BFF. Then take your brush and dust it along your collarbones and in between your cleavage onto your chest. You can add as little or as much as you like. Be careful to not get too bronzer happy if the shade is much darker than your skin tone. If you are brave you can also try putting a little on your arms or tops of your shoulders. Add a touch of white to your outfit. A pair of white shorts, a white dress, or a white top can do amazing things. Just like your neon nail polish, the brightness of your outfit can create a nice illusion of a more tanned body. Wear what makes you feel fabulous. Being confident in your own skin is more important than how much you glow. Part of the allure of getting your tan on is looking healthy, happy, and confident. No matter your skin tone, get the golden glow just being comfortable with yourself and knowing that you are glamorous.